Users are the people who actively navigate and use your organization's FMX site. These Users will be assigned User Types (Admins, Maintenance techs, Staff, Community Member, etc. ), which will give different levels of access and permission to Users within your FMX site. *The ability to bulk import data is set up at the user type level by each module. Name*: This is the person’s name. Make sure it is easily distinguishable from other Users (First and Last name typically takes care of this). Email*: This is required unless the User is just being stored as a contact. Make sure the email is a verifiable address that the User can confirm in order to activate their FMX account. (Duplicates are not an option here). User type*: This refers to how much access this User will be permitted within the site. If a User’s User Type is Community member, then they (typically) will not have much access to the site other than scheduling requests. If a User’s User Type is Building Administration, then they are going to have most, if not full access to the site. These allowances can be modified for each User Type, but only by other User Types that have the permission to Administer (make changes) within the site. Time zone: This comes in handy when your site has Users who are located in different areas across the country/world. Password: This can be set or auto-generated by an FMX Admin, but typically the User is sent a link where they can create their own password. Require password change: This is a “yes” (or leave blank if no) response. This is used if you assign each User a generic password such as “welcome”, then they will be required to change it once they verify their account. Building access: Using‘ALT+Enter’, you will enter all of the buildings to which each User has access. Phone: Provide a number in which each User can be reached. Labor rate: If applicable, what is the User’s hourly rate? (This is kept private from other Users based on User Type settings). Can be a driver: This is a “yes” (or leave blank if no) response. The only way a User can be assigned in a transportation request to drive a vehicle is if they are marked as a driver. Liability insurance expiration date: This only applies to Users who are required to have liability insurance. Is contact: This is a “yes” (or leave blank if no) response. You might just want to add people in as contacts rather than Users, giving your Admins easy access to all contact information. If a person is just a contact, then they will have no access to your FMX site. 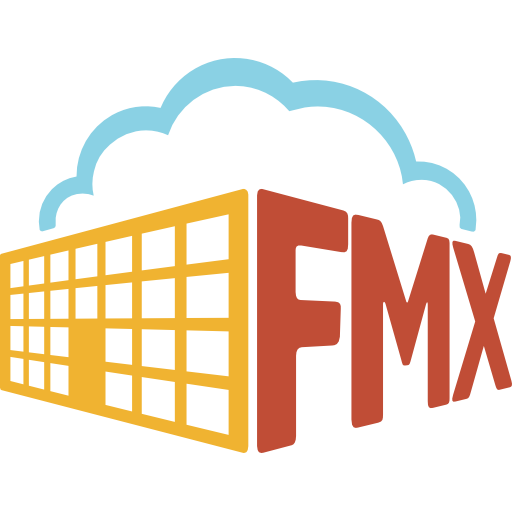 *Note: Unlike Users, Contacts cannot receive email notifications from FMX. Is supplier: This is a “yes” (or leave blank if no) response. You might have suppliers that you want to store in your site. These suppliers can be people or companies in which your organization outsources for certain tasks/resources. This gives you easy access to your suppliers' information, while also giving the supplier no access to your FMX site. Custom Field: This is always an option if you need to add any other required/non-required details. 5. Once you have completed filling out the import template, save the document to your computer. 6. Navigate back to the import page of your FMX site. 7. Title the name of your import in the Title section. 8. Click on the paperclip icon in the Template section to upload your import template. This will bring you to your saved documents where you find and attach your template. 9. Scroll to the bottom of the page and hit Save. 10. If you receive any errors, correct your import template so the information matches exactly to the data in your site (If a building is in your site as "High School" and you populated this field in your import template with "HS", you will need to correct this field to say "High School" so it matches the building name exactly to what is in your site). Click here to read more about bulk import errors and how to fix them. 11. Once you have corrected the errors on your template and hit save, repeat steps 7-9. 12. When your import has been completed, a green message will appear at the top of your screen that reads "Success! (Your template name) has been imported with (# of records) records".